Despite the desire to squeeze as much as I possibly could into the past four weeks, my body (thankfully) kept me in check. Waking up at two-hour intervals to pee pretty much every night and getting contractions when you exert yourself with more than a gentle stroll will tend to do that to a person. So, yet again, we are adjusting goals, resetting expectations and wading into what appears to be the “new normal” — at least for the foreseeable future. And this is all pre-baby, so I can’t imagine what March’s recap will be like! February was all about listening to my body. And, boy, did it have a lot to say. This extra 30 pounds I’ve gained earned over the past 10 months really started to take their toll (in the form of back pain, hip pain, foot pain…see a theme here? ), and I could tell my body was getting prepped for the main event (contractions!). So while workouts remained consistent, I’ve definitely tapered things off in the past two weeks. Nada at the moment, but I am making tentative plans for a half-marathon relay with a mama runner friend, Tiffany, later this summer. We may not be the fittest or fastest out there, but we’re determined to put one foot in front of the other and just keep moving. 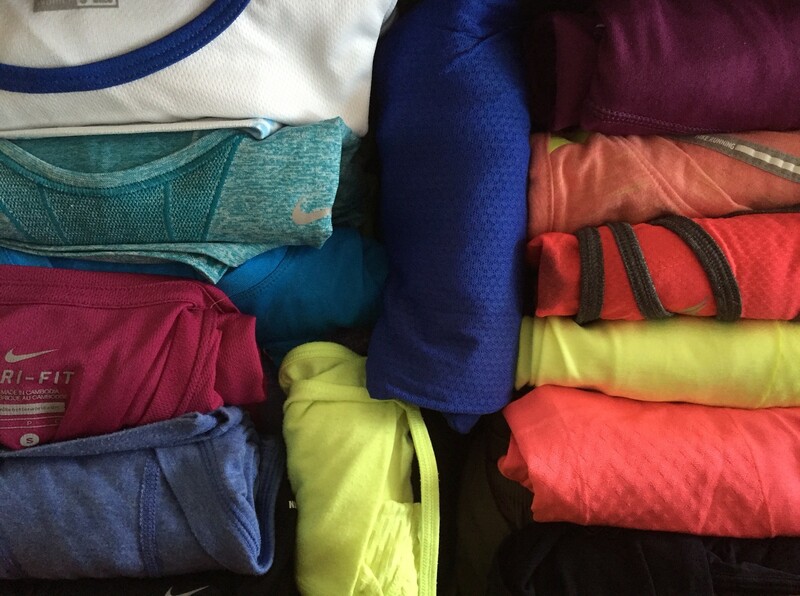 Getting my 2016 Coeur Sports team kit in the mail was another major highlight this month. It got me super excited for when I can ease back into some kind of training schedule. Eventually. In the meantime, I’m so thankful to be working with a company who supports women of all levels, abilities and stages of life! This really is the year of the #coeurbaby, and I love how we can show that healthy mamas = healthy babes. 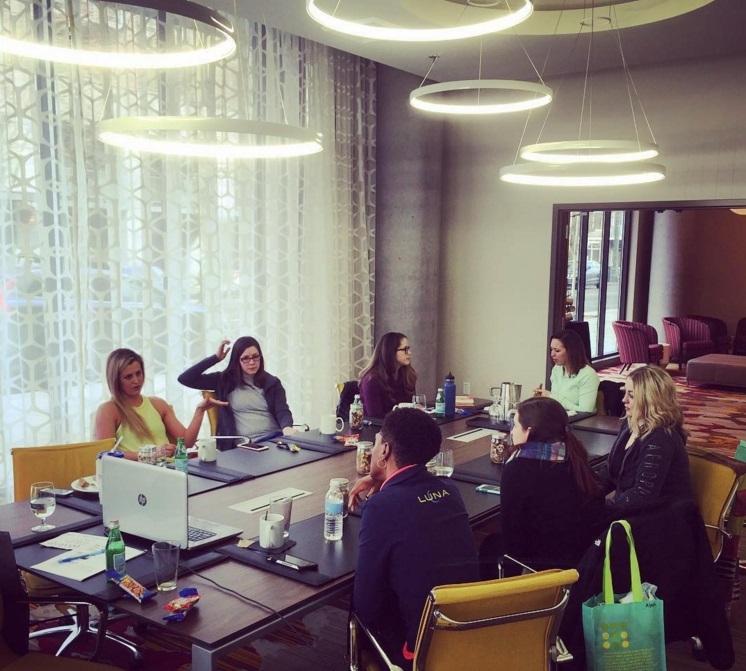 While our Team LUNA Chix Portland Run season hasn’t officially kicked off (stay tuned — April! ), our planning sure has. The team’s 10 leaders gathered on February 20 for a retreat, which included some movement and food in addition to the business at hand. We’re really excited about going bigger and bolder this year, so keep an eye out for all kinds of great sweat sessions, events and activities. We’ll be resuming our FREE Monday night workouts (6:30 – 7:30 pm) in April, so follow our Facebook, Instagram and Twitter accounts for details. After a bustling January at Pulse Creative, February was all about wrapping up open projects and getting everything set for maternity leave (always a double-edged sword when you work for yourself!). My tentative plan is to step back for two months (March and April), which makes me nervous in the short-term, but I know it’s what’s best for our family in the long run. As a girlfriend put it, there’s no use in half-assing work, baby, family and self-care during such a tumultuous time. No one will win in the end. And sometimes a step back helps you take a leap forward, so I know a little time off will further inspire me when I resume my work with clients later this spring. My grand plans for Kondo-izing our apartment before baby were a big, fat fail this month. While nesting instincts were in overdrive, I simply didn’t have the energy to tear everything apart and do a big purge. So instead of following the guidelines in “The Life-Changing Magic of Tidying Up: The Japanese Art of Decluttering and Organizing” to the letter, I settled for a weekend closet clean-out. I ended up with one bag for Goodwill and another for eBay, and I’m happy with that for the time being. After all, we’ve got the rest of our lives to clean — and our last month as non-parents had to take precedence, right?! 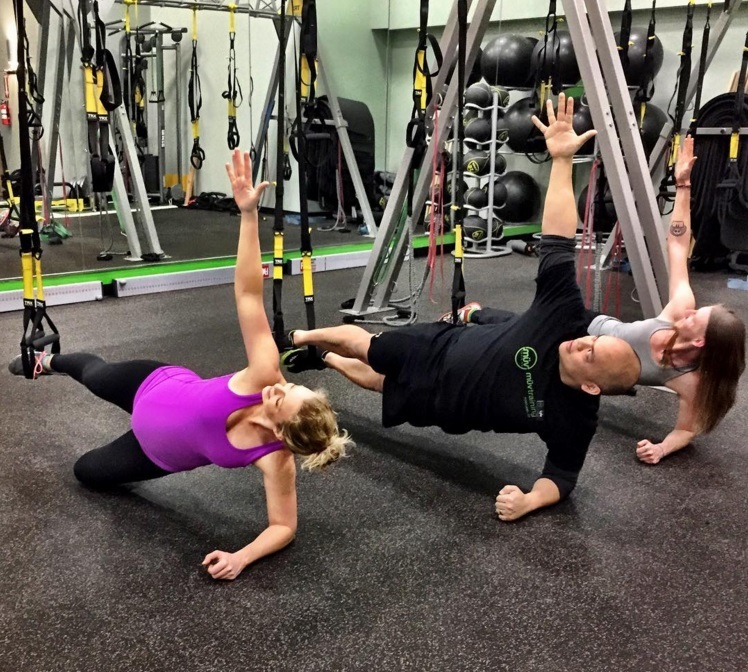 you look amazing working out while pregnant! Thank you! Felt so good to just keep moving to keep the momentum going! Incremental progress is perfect! I’m realizing quickly that mine are about to go off the deep end (well, at least for a few months). Literally, March’s post will probably be “had a baby.” LOL! There is nothing wrong with that!! Congratulations!! He’s super cute!! Great work Jen! You show a lot of enthusiasm, and hard work. Best wishes to you and your new family! 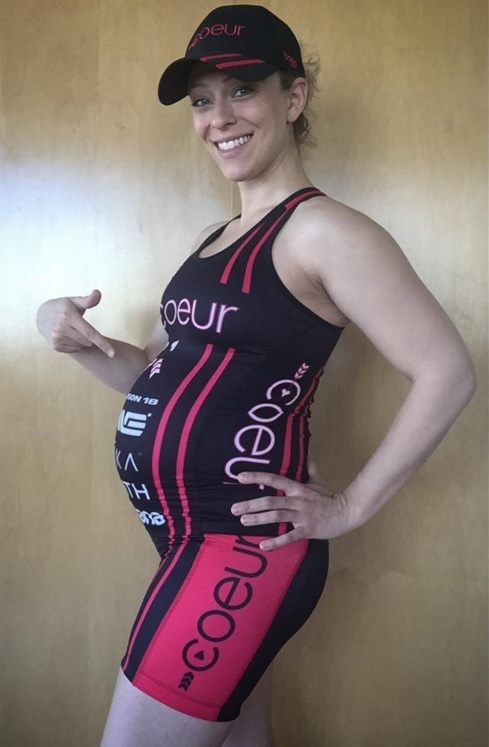 You look fabulous in your Coeur kit – and, congrats are in order! So happy for you and the arrival of Wyatt! Happiest congrats 🙂 Loving all the Coeur babies and the message your ladies are sending! And, thanks for inspiring me to get back to my monthly goals posts. I used to write them when I first started blogging, but they took a backseat when I started IM training. Aspiring to get back to them! Thank you so much! As I told Kecia, my monthly posts are about to change…a LOT. But hoping to stick to them, even if it’s more along the lines of “changed 462 diapers” instead of “ran a PR.” Will be an interesting journey & I’m excited to follow along on the team’s adventures & use that as inspiration. Agree that Coeur is amazing for supporting women in sport, regardless of where we are in that spectrum!